Indiana University has had international connections almost from its inception. In 1836, two years before IU had formally attained university status, William Richard Harding left Ireland and became IU’s first foreign-born faculty member, as principal of the Preparatory Department. Beginning in 1836, IU students could study a modern language (French). International law was an explicit part of the original law curriculum in 1842. That same year, Henry Tanner, raised in London, England, became IU’s first foreign-born graduate. David Starr Jordan, biologist and later university president, began study abroad tours to Europe in 1879. Elmer Bryan, IU professor of education, took a leave of absence in 1901 and became general superintendent of education in Manila. His connections opened IU’s first informal international exchange. By 1916, 17 IU graduates resided in the Philippines. In 1916 as well, an IU branch of the Cosmopolitan Club was established and for 50 years was a major force in fostering social interactions between domestic and international students on the Bloomington campus. For a rural Midwestern university, these early interactions provided a window to the outer world, but the permanent institutional commitment to international education awaited the leadership of Herman B Wells. Early in his presidency, he joined a tour of senior university administrators to Latin America. Afterward, he declared, “All at once I became conscious of the world scene.” His support for IU’s international engagement was unfailing. He championed a program to teach Central Asian languages to army officers during World War II and supported its expansion into a Summer Language Institute, which continues to this day, teaching languages that go untaught at most universities. In 1949, Wells seized an opportunity for IU faculty members to assist Thailand in developing university-level training. He established a center for international students on the Bloomington campus in 1951. Wells, pushing back against the isolationist sentiments of the United States during the 1950s, expanded IU’s international commitments with projects in Thailand, Brazil, and Pakistan. Academic offerings increased, especially in Russian and Chinese studies. With the help of Professor Robert Shaffer, a colleague in the School of Business, and a grant from the U.S. Department of Health, Education, and Welfare, Associate Dean of Students Leo R. Dowling conducted a three-year research project aimed at measuring the impact of foreign students on their domestic counterparts. At a time when there were “pressures to limit nonresident enrollment in public institutions, to restrict housing and financial aid to resident students,” Dowling and Shaffer surveyed more than 500 students. The results of their survey “Foreign Students and Their American Student Friends,” published in 1966, included 22 general conclusions. Among these were (1) friendship with foreign students encourages American students to take a broader interest in national and international affairs, and (2) friendship with foreign students encourages American students to alter their future plans. 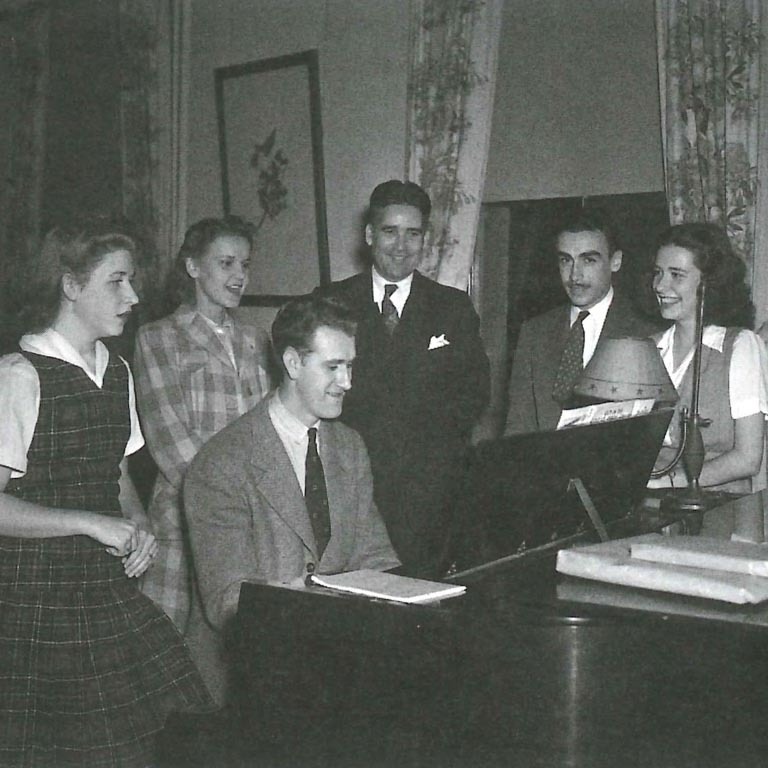 In 1943 President Herman B Wells appointed Leo R. Dowling as IU’s first permanent foreign student advisor. Dean of Students Robert Shaffer outside the international services office in the lower level of Maxwell Hall. 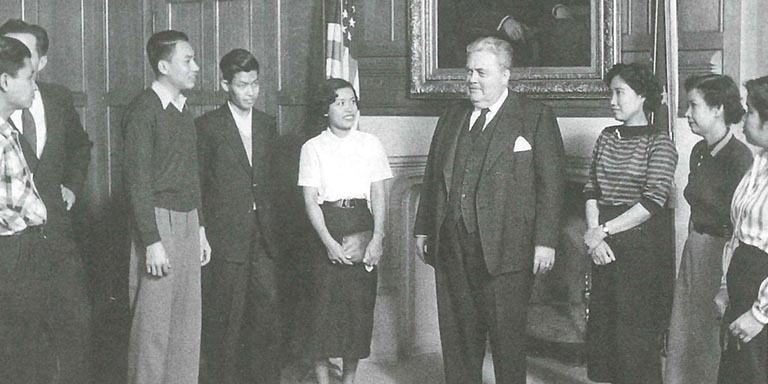 Taken in 1956, President Wells is pictured meeting with international students. Two decades of Wells’s support of international education had ensured that the university was ready for these new initiatives. By 1965, IU had active government and private contracts for work in countries around the world. During the 1960s, the university established area studies programs for East Asia and Inner Asia (1962), the Middle East (1965), Latin America (1963), and Europe (1968). The explosion of area studies programs and international development activity raised issues of coordination and management. IU’s solution in 1965 was the International Affairs Center with three divisions: international studies (area studies and institutes); international development research (institution building); and international activities (overseas contracts). Gus Liebenow, named associate dean for international programs in 1970, was IU’s first international deanship appointment. Five years later, George M. Wilson, associate professor of history, was appointed dean for international programs and headed the new Office of International Programs, which brought together international faculty and student services. In 1993, President Michael McRobbie appointed Patrick O’Meara, renowned scholar of international development, comparative politics, and African politics, as dean of international programs and promoted him to the newly created position of vice president for international affairs in 2007, a recognition of the rapidly increasing importance of the international and global dimension in higher education. Until his retirement in 2011, O’Meara had oversight of international programs at all eight IU campuses, and he implemented IU’s first university-wide international strategic plan. The first overseas international student reunion in Chiang Mai, Thailand, in 1999. 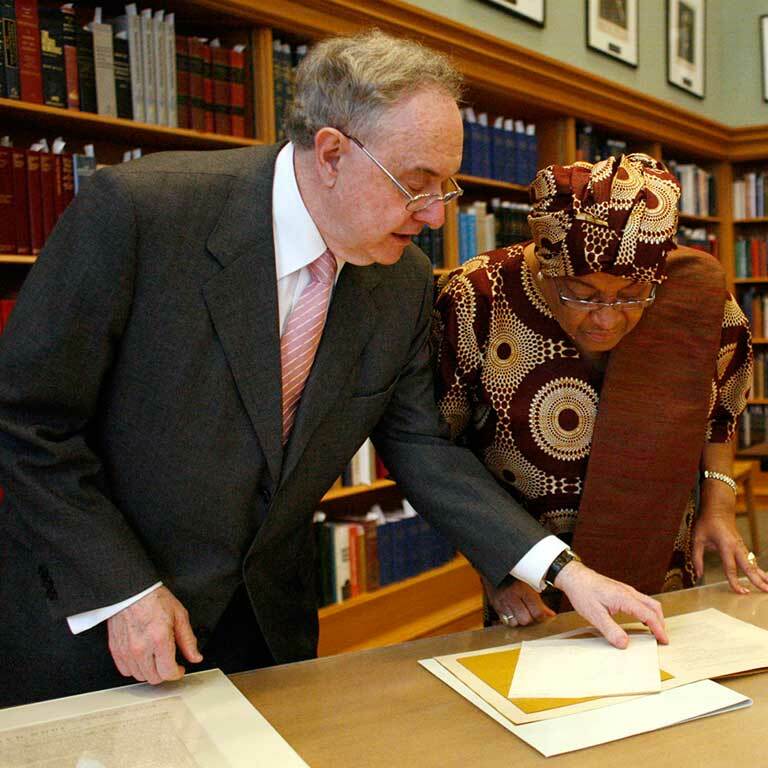 Vice President Patrick O’Meara, left, showed Liberian President Ellen John Sirleaf part of the Lilly Library collection during her visit to IU in 2008. IU’s first Global Gateway office opened outside New Delhi, India, in 2014. 1836: First modern foreign language offered. French was taught for the first time in 1836, German in 1854, and Spanish in 1864. 1836: First foreign faculty member. William Richard Harding came from Trinity College, Dublin, Ireland, to become principal of the preparatory department. 1842: First foreign student. Henry Tanner, born and educated in London before entering IU. A.B., A.M., L.L.B. 1879: First study abroad program. Daniel Starr Jordan led a “Summer Tramps” walking tour of Europe. 1891: First foreign student to earn a graduate degree from IU. Takekuma Okada returned to Japan with a Master of Arts degree. 1916: First campuswide international club. The Cosmopolitan Club began with 12 international students as the United States was pondering entrance into a world war. It sponsored popular campuswide social events through 1970. 1924: First paid international student advisor. The Board of Trustees approved payment of $100 a year to Flora Anderson, botany professor, partly to manage a new international student loan fund. 1940: First international study grant. The Indiana Federation of Clubs joined with IU to support graduate student research in Latin America. 1940: First permanent foreign student advisor position. Herman Wells appointed Leo R. Dowling to this role, which became his primary function in 1946. Dowling retired in 1976. 1951: First international center. Herman Wells dedicated a small house on Jordan Avenue (on the site of the Read Hall parking lot) for the social use of international students. 1954: First formal development agreement. IU’s School of Education, the Prasan Mitr College of Education in Bangkok, and the Thai Ministry of Education, with funding provided by the U.S. Foreign Operations Administration (FOA). 1958: First Title VI Program in Russian and East European Studies. 1970: First international deanship appointment. Gus Liebenow named associate dean for international programs. 1975: First year of Office of International Programs. George M. Wilson, associate professor of history, appointed dean for international programs, heading the new Office of International Programs, which brought together international faculty and student services. 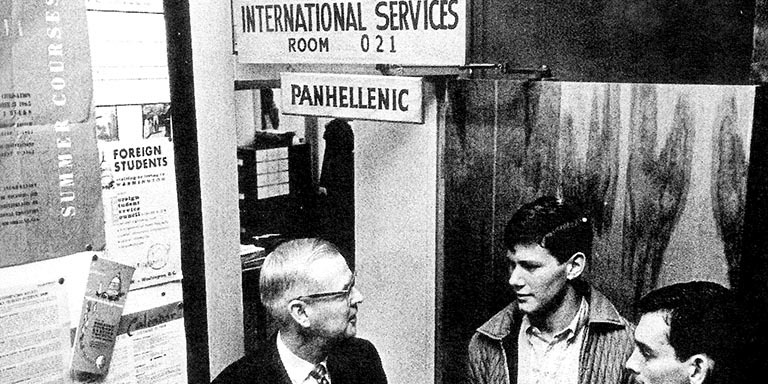 1986: First IU South Bend international affairs office. 1989: First IUPUI international affairs office. 1998: First undergraduate minor in international studies through the College of Arts and Sciences. 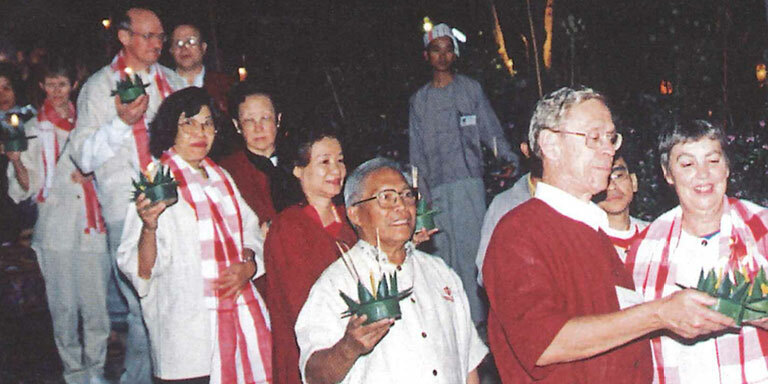 1999: First overseas international alumni reunion in Chiang Mai, Thailand. 2002: First international homecoming brought 50 alumni from 17 countries to Bloomington for a four-day celebration. 2003: First international studies degree became available to students in the new Department of International Studies in the College of Arts and Sciences, Bloomington. 2007: First international vice president Patrick O’Meara appointed by President Michael McRobbie. 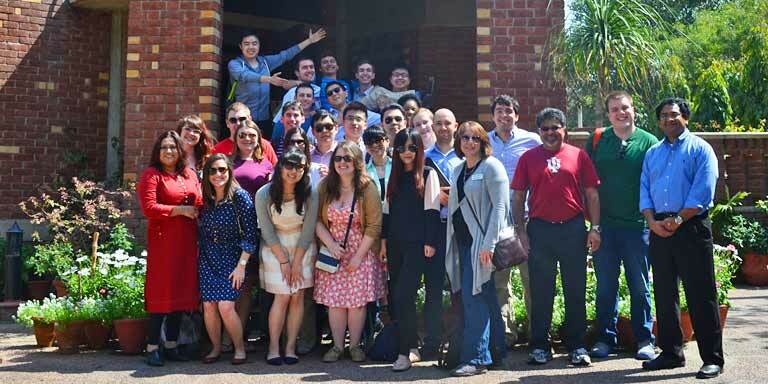 2012: First year of the Hamilton Lugar School of Global and International Studies. 2013: First IU Gateway opened outside New Delhi, India.